The different gauges of a wire determine how strong the wire is, and the breaking strength is the amount of weight it takes to break the wire. The following wires are described in order of how quickly they break with a tensile tester. What many refer to as “hog wire,” 12.5 gauge low carbon wire has been around since the 1870s. Field fences only utilizes one strand, which stretches at about 13%, then breaks at 500 lbs., while barbed wire is made of two strands, breaking at 1,000 lbs. This 12.5 gauge low carbon wire is more economical and inexpensive than the remaining wires, which is why it is found in field fence, domestic, import and barbed wire, and can be used in various types of hinge joints and S knots. High tensile wire equates to a high carbon content, and will not stretch as much as low carbon wires. Typically used exclusively in barbed wire, 15 gauge high tensile wire is only going to stretch 1.5-2%, and will break at about 550 lbs., making barbed wire break at 1,100 lbs. This 15 gauge wire will be smaller than 12.5 gauge, but will have a higher strength because it is high tensile. You can find this wire in 2- or 4-point, 5” spacings, or 4-point 3” spacing predator wire. Only stretching 1.5-2%, a 14 gauge high tensile wire strand will break at 800 lbs., giving you a 1,600 lb. breaking strength in barbed wire. We use this in our StaTite50 line with a Zinc-Aluminum coating, but the coating has nothing to do with the strength. The ASTM (American Society for Testing Materials) will give you a smaller breaking strength than this, but we know that they will break at a much higher strength. This 14 gauge high tensile wire can be found in 2- and 4-point barbed wire and field fence. One of the most reliable confinements for cattle, hogs and other large animals, this 9 gauge low carbon wire will stretch 13% and break at 1,200 lbs. This is the same wire that’s found in King Ranch #949-12-9 wire, and will withstand the demands of corralling large animal herds. This is found in our various deer, cattle, hog, sheep and goat field fences. The 12.5 gauge high tensile wire stretches 1.5-2%, but breaks at 15-1600 lbs., making it 3x stronger than the 12.5 gauge low carbon wire. Since this is so stiff, and would be very difficult to tie together, it would never be used in barbed wire. The 12.5 gauge high tensile and low carbon wires are the exact same, with the exact same weight. The only difference is the carbon content, which causes them to break at different weights and stretch at different percentages. We hope this post has given you some insight on the different gauges and breaking strengths of wire. 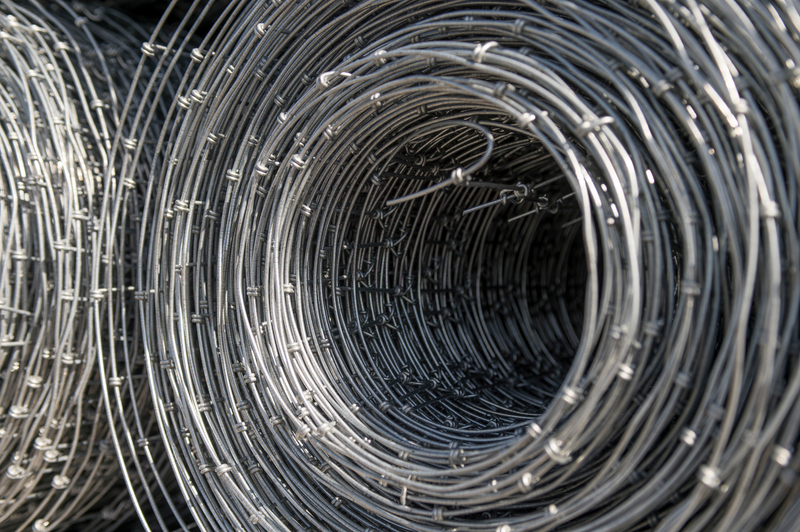 Learn more about our fence and barbed wire products here.